Thanks lil Ash. Lovely moment in the picture. Well written even though it took me a few moments to figure out the story but I love the idea and style and excellent punchline... Oh dear! 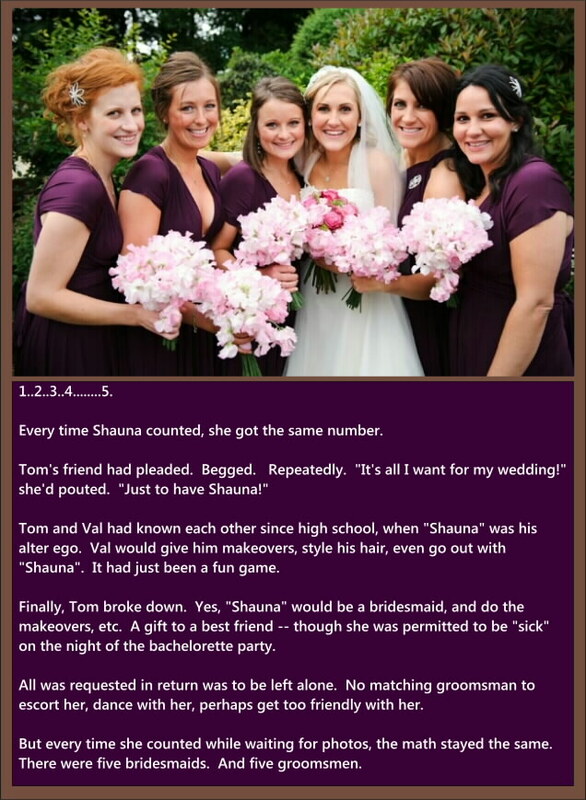 I wounder which bridesmaid is Shauna, and Val knew Shauna was going to be a hit and her husband's cousin who liked special girls like Shauna was a groomsman but Shauna did not know this and that the wedding was a setup so Val could have her BFF Shauna full time.